Thanks to a new generation of internet-enabled thermostats, you can now enjoy an unprecedented level of control over the temperature of your home—and the size of your monthly heating and cooling bills. Smart-home technology has been developing for years now, with forward-looking manufacturers pioneering ever more ingenious ways of connecting formerly static household components to the dynamic Web. In our vision of the high-tech future, thermostats, of all the systems and appliances contained within the average home, may not have leapt to mind as the product category most likely to benefit from cutting-edge advancement. Then again, though not very glamorous, thermostats are critically important, and not simply for home comfort. Considering its crucial function against a background of rising energy costs, one might view the humble thermostat as our first line of defense against skyrocketing heating and cooling bills. 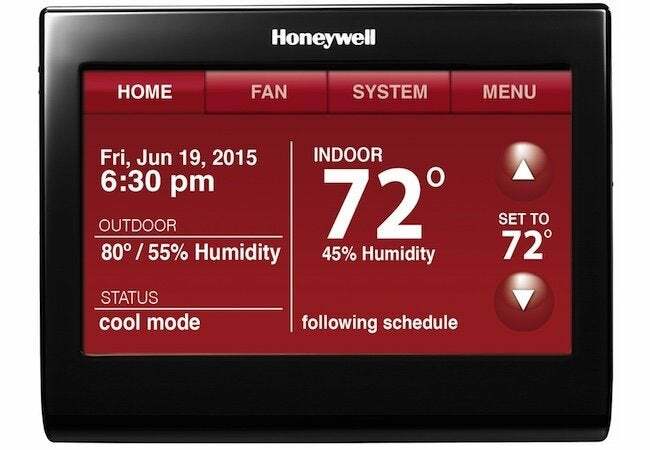 Aware of its central role in daily life—and of how much room for improvement there was—companies like Honeywell set out to revolutionize the thermostat for the digital age, and they’ve succeeded spectacularly. Today’s models offer an unprecedented degree of fine-tuned, customizable control. Whereas the thermostat was once a liability in the typical family’s fight to spend less on utilities, it has finally become a valuable—even indispensable—asset. For decades, whether your thermostat was a mercury or mechanical-contact model, you had three options in its operation: You could turn it up, turn it down, or turn it off. With those limitations, manual thermostats made it quite difficult for the average homeowner to save any money. To do so, he needed to make several strategic thermostat adjustments throughout the day, every day. Many people didn’t have the patience or simply didn’t remember to dutifully capitalize on each savings opportunity. That’s why programmable thermostats were such a welcome breakthrough. For the first time, the budget-conscious homeowner could forget about the thermostat altogether, knowing the heating and cooling appliances would run on the precise schedule he had set. In winter, the heat would automatically go down when the homeowner left for work in the morning. In the summer, the air conditioning would click on 10 minutes before he typically arrived home. Taken together, those small advantages made the programmable thermostat not only a vehicle for reduced monthly bills, but also a tremendous convenience in day-to-day life. The next great step forward in thermostat technology has arrived—Wi-Fi compatibility. Daniel O’Brian, a technical expert with online retailer SupplyHouse.com, explains, “Wi-Fi thermostats offer the same functions and features as standard programmable thermostats—with one major difference. They communicate with your home wireless network, allowing you to monitor and control your system remotely.” In other words, it’s now possible to set your thermostat over the Internet. In some cases, you can even do so using a mobile device. 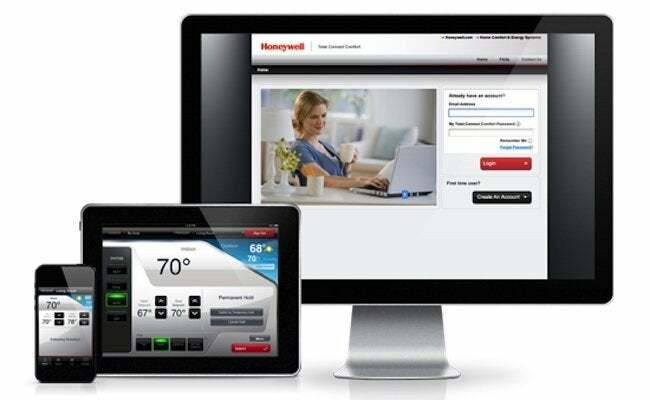 For instance, customers may download the free Honeywell Total Connect Comfort app for smartphones or tablets as a companion to Honeywell Wi-Fi thermostats. With the app, you can set the home climate from anywhere, at any time, whether you’re on the couch or on the go. While thermostat programming remains a money-saver and a comfort convenience, family schedules are always prone to sudden alterations. With Wi-Fi thermostats and the unprecedented level of control they afford, you can instantly adjust your thermostat to accommodate all such inevitable changes. “Perhaps even more important,” O’Brian continues, “is that your Wi-Fi thermostat can alert you to problems with your equipment.” At first glance, that functionality may not sound so impressive, and with luck, you would never have to avail yourself of it. But make no mistake: In HVAC, as in life generally, knowledge is power. Perhaps the value of system monitoring can be best understood by way of example. Picture this: Your home furnace stops working in the dead of winter, while you’re away on a weeklong vacation in Florida. In the past, furnace failure might have spelled disaster—frozen pipes and the extensive, expensive damage they bring. But if your home were equipped with a Honeywell Wi-Fi thermostat, and if your smartphone had the Honeywell app, you would receive a message alerting you to the problem. Certainly, it would not be happy news, but at least you could take action to protect your home from harm. In the end, heating and cooling appliances don’t simply make the home comfortable, they protect it as well. That being the case, it’s in the homeowner’s best interest to understand the system status at all times. You don’t need to be an expert to install a Wi-Fi thermostat—far from it. As O’Brian explains, “Wi-Fi thermostats are, for the most part, direct replacements for standard thermostats.” Therefore, swapping one for the other falls within the capabilities of most reasonably savvy do-it-yourselfers. If you’re intent on avoiding a call to the electrician, do a little research before making any purchases. First, check the wiring of your existing thermostat to see if it’s serviced by a dedicated common wire. If so, then you can easily put in most Wi-Fi thermostats—that is, assuming you already have a router and wireless network. If the electrical box does not include a common wire, then you might opt to focus on those Wi-Fi thermostats that do not require one. Alternatively, you could hire a pro to update the wiring. The point is that by understanding the wiring you’ve got and the wiring a given Wi-Fi thermostat needs, you can be sure to choose the right product for you. 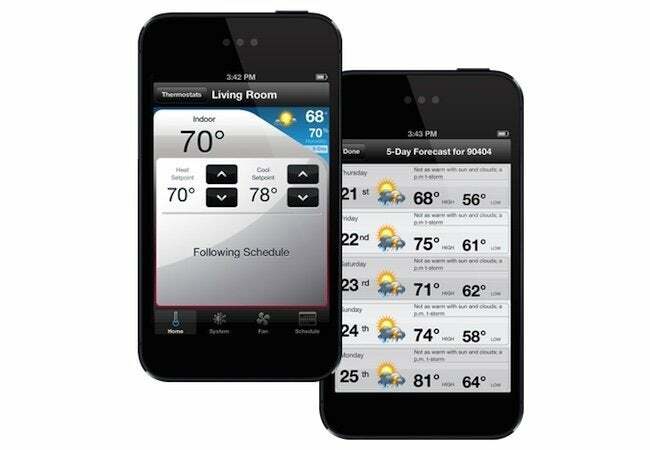 Visit online retailer SupplyHouse.com for a large selection of Wi-Fi thermostats from leading manufacturer Honeywell. This post has been brought to you by SupplyHouse.com. Its facts and opinions are those of BobVila.com.